Tucked away in the mountains of Northern Utah lies the beautiful Cache Valley. It is arguably one of the most beautiful places in the world. You could also call it a photographer's dream. Mountains and magnificent canyons. Fields of wildflowers and wheat. Trees and tall grass. There's a feel in Cache Valley that you won't find anywhere else. A feel of coming home. In the middle of Cache Valley, lies the county seat, Logan. A small city, some may not even call it a city with a population of just under 50,000. With the beauty of the area, it is easy to find an outdoor location that is perfect for a wedding ceremony. Whether it be a simple backyard or a manicured garden. 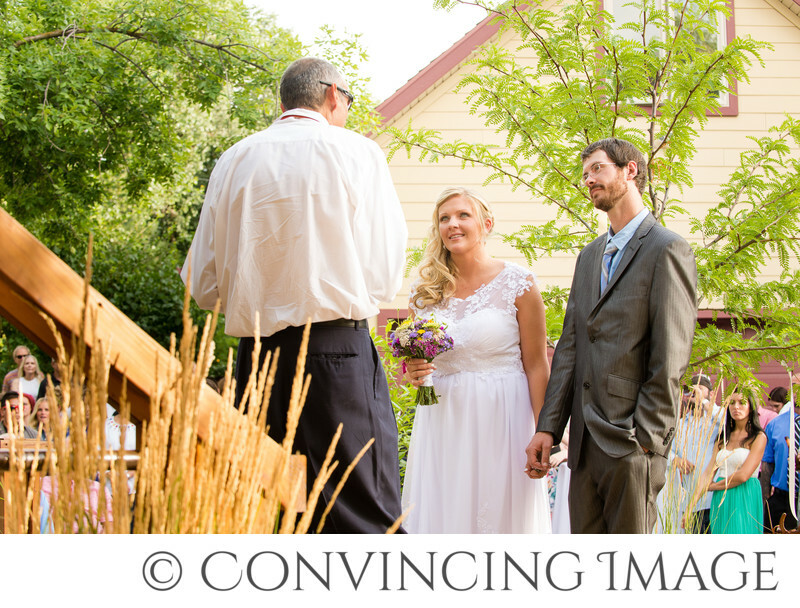 Kira and Clay chose the perfect venue for their outdoor wedding ceremony. Hidden in the middle of the "city" is an old neighborhood with houses built by the early settlers of the area. This is one of those houses. It has an old feel, with modern charm. For being in the middle of a city, they had a good amount of land; enough to have a large yard with impeccable landscaping, complete with rock steps and pathways and a cozy hammock. The perfect amount of cloud cover made the scene ideal. With the filtered light, we were able to really capture their ceremony. What better way to get married than on a partially cloudy summer day, in a classy outdoor venue, surrounded by all of your loved ones? 1/200; f/8.0; ISO 800; 70.0 mm.